Babies are being overfed, expe..
Podcast: Lifting and shifting .. This week, many children will be heading off on their summer holidays. Which initiatives are you taking your children to and, as a personal trainer, are you leading any this summer? Sainsbury’s has partnered with ukactive to pilot a new school holiday club for children in order to combat rising levels of physical inactivity over the summer. 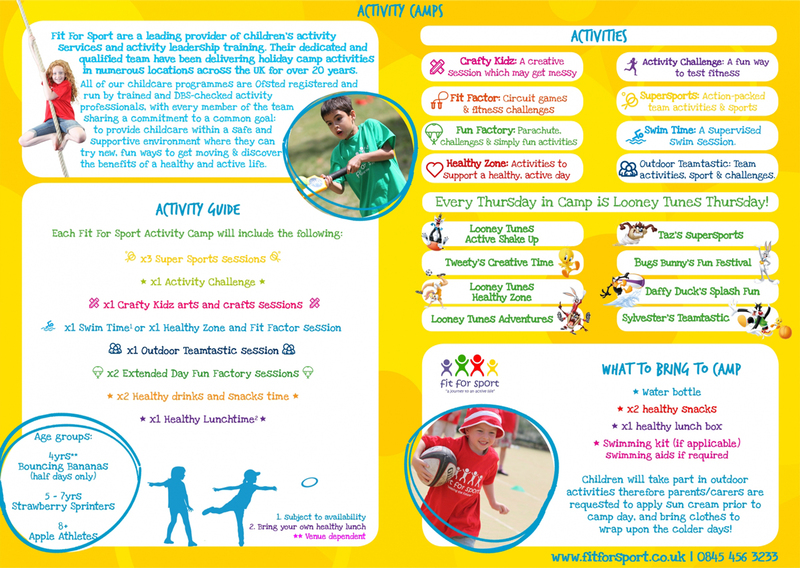 The Active Kids holiday clubs will offer children a range of activities tailored by age group, including sports, games, and performing arts classes. They will also provide children with a nutritious lunch and healthy snacks. The clubs will be hosted by Premier, a ukactive Kids Code of Practice-approved children’s activity provider, ensuring the high-quality delivery of a structured, full-day programme in a safe environment. Premier will provide action-packed programmes that are delivered by fully accredited children’s activity professionals, supported by Sports Leaders UK trained and accredited young leaders from the local community. Parents and carers will also be provided with a support pack that offers advice on ways to continue the good habits learned during the week, including simple healthy recipes and fun physical activities to try at home. Essex county parks (Essex County Council) are currently offering families the opportunity to experience the Gruffalo Trail. The trail can be completed as a self-guided walk, and school groups have completed the walk in the past. Discover the magic of deep, dark woods with the self-led trail, searching for hand-crafted carvings of Gruffalo characters. On the walk, children can create animal dens, mini-homes, and act like an animal while developing co-ordination with lots of animal-inspired movement.